Description Limited trim. PRICED TO MOVE $1,600 below NADA Retail! LOW MILES - 38,792! 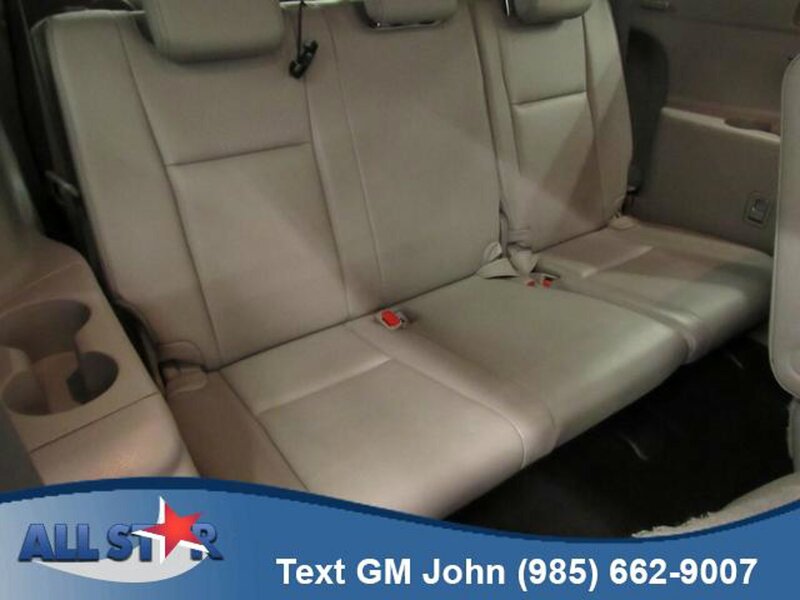 Sunroof, NAV, Heated Leather Seats, 3rd Row Seat, Power Liftgate, Rear Air, ASH, PERFORATED LEATHER SEAT MATERIAL... Alloy Wheels, Quad Seats. Third Row Seat, Navigation, Sunroof, Quad Bucket Seats, Power Liftgate, Rear Air, Heated Driver Seat, Cooled Driver Seat, Back-Up Camera, Premium Sound System, Satellite Radio, iPod/MP3 Input, Bluetooth, Chrome Wheels, Keyless Start Rear Spoiler, MP3 Player, Remote Trunk Release, Privacy Glass, Keyless Entry. ASH, PERFORATED LEATHER SEAT MATERIAL. Toyota Limited with Creme Brulee Mica exterior and Ash interior features a V6 Cylinder Engine with 270 HP at 6200 RPM*. Tinted Windows, Leather Seating Upgrade. Edmunds.com's review says "The meaty three-spoke steering wheel is precise, and if you drive quickly around a tight turn, the Highlander remains secure, with a decent amount of grip.". Great Gas Mileage: 25 MPG Hwy. This Highlander is priced $1,600 below NADA Retail. Welcome to All Star Nissan, your Baton Rouge/Denham Springs Nissan dealer. Our location offers a collection of both new and used vehicles. View our inventory and test drive a new or used vehicle today. All Star Nissan has always provided excellent customer care as your Baton Rouge dealer. Our location can be reached for ordering parts or to make a service appointment. View our hours and directions or contact us for details on how All Star Nissan can provide for your automotive needs.